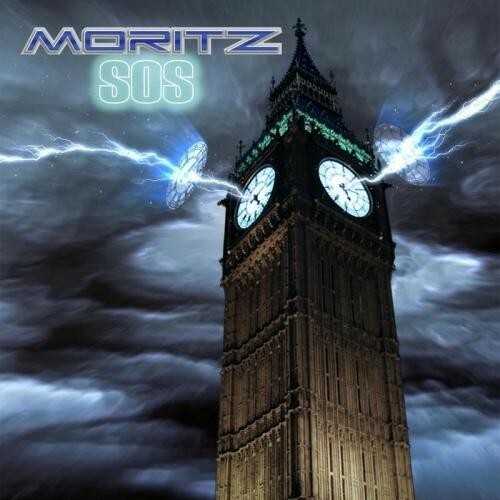 It really is refreshing to hear a British band like Moritz deliver such finely crafted melodic hard rock. It has been two years since the release of Moritz's critically acclaimed 'Undivided'. They have always delivered finely crafted AOR, but now they have produced a more classic rock approach to their song writing. Still featuring five of the original members in Messrs Scallan, Hart, Nolan, Edwards, and Stewart, they joined by John Tonks (Thunder, The Union, Bonnie Tyler) on the drum stool. Things kick off in fine style with the blues hard rock credentials of 'Fire', a song that bears stylistic resemblance to the likes of Bad Company or Whitesnake, with guitars really rocking out: making it a great opening number. Anyone fearing the guys had left behind their more melodic influences will not have to worry, as the instant lush hook of 'Hide My Heart' arrives. If you want passionate vocals, truckloads of keyboards and music to lift the heart, this song ticks all boxes. There are a great many influences contained in 'Gonna Lose Her', ranging from The Doobie Brothers to ELO, and guitarist Greg Hart takes full writing credit, supplying some tantalising six string action to the mix. Listening to 'Remember Yesterday' is like discovering a long lost Faces track. The keyboards drive the song and the vocals are perfect with an authentic feel of the seventies in its delivery. You'll certainly notice the influence of Queen with 'Mercury Falling', right down to the guitar solo. As a straight tribute to the late Freddie, it's far better than anything the Paul Rodgers-fronted version of the band could offer in my view. Pete Scallan's vocals mimic Thunder singer Danny Bowes on 'Amber Lee'. It has both a catchy chorus and sharp riffs, and it is one of numerous songs on the album that would make a great single. If you are in need of a power ballad fix then look no further than 'Caught Between Life And The Light'. Building in layers with a commanding vocal, the track takes off with conviction, before the guitar solo blasts to the surface. A particular favourite for of mine is 'Soul Of Fire'. The song slowly smoulders in typically beautiful west coast blues style, and has a guitar and keyboard melody just dripping with so much emotion, you don't want it to end. It really is refreshing to hear a British band like Moritz deliver such finely crafted melodic hard rock and 'SOS' more than stands proud against anything else released so far this year! I can remember when I first heard this CD. I had it playing on my laptop while at the same time watching Family Guy. Soon, I became more interested in the music that was flowing toward me then the comical shenanigans of the Griffith family. So off went Family Guy and up went the volume of SOS. Priorities you understand. Melodic, and well played was my first impression. Perhaps not the strongest CD I've ever heard, but nevertheless what was heard, for the most part, OK. The vocals were off a time or two, and sometimes the flow of a certain track didn't flow as well as I would've liked, ("Can't Hide My Heart,) but still, fans of melodic rock need to hear this. I enjoyed "Amber Lee," that reminded me of the band Balance, and while the vocals seemed strained at the higher octaves, the lyrics of "Caught Between Life and the Light," caught me by surprise. I wasn't sure what was happening during the final moments of "Caught Between Life and the Light," as the music and vocals became all jumbled together with heavy reverb. "Soul of Fire," started with the sounds of city traffic that soon flowed into a bluesy guitar and piano, with soulful vocals that made this track the CD highlight. Overall, not to bad. A tweak a time or two to certain tracks would have helped, but for the most part I did enjoy it. I can't say I will rush out to hear it again, but, I can honestly say I'm glad I did.